I am doing my spring clinical rotation at Parkway South High School. I love working at PSH because there are a variety of sports and sports I have not seen such as wrestling, water polo, swim and dive, and boy’s volleyball. My preceptor, Mike Tzianos ATC, is one of the best ATs provided by Mercy Sports Medicine. I have learned a ton from Mike, and he has helped me refine my skills. I am not only learning, but also teaching. Mike has learned some new skills from me from what I have learned in class. We also share journal articles with each other to keep up with evidence-based practice especially for rehabs about why we do certain exercises. This helps us give quality care to the athletes. 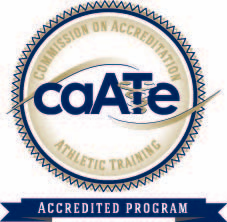 Not only have I been learning and developing my skills with evaluations and treatments, I have also learned about the administrative side in athletic training. There is a lot of documentation that has to be done each day, and you always have to follow up with the athlete and other health care professionals involved in the patient’s care. In order to improve communication between the athlete, coaches and parents, Mike and I created a document that has information about the athlete’s injury or condition and whether they are allowed to participate in sporting activities. While making this document seems like a small task, it will have a huge impact. I am excited that other athletic trainers working with Mercy Sports Medicine will use our document in the future after it has gone through a few more revisions. What I like most about working with Mike and at PSH is that I am constantly being challenged. Whether it is Mike asking me questions about an injury or rehab, we have limited supplies or I am working at a sport I have never been around I try to keep a positive attitude and an open mind. It can be frustrating to figure out a rehab and then realize I do not have the equipment for the exercise. I have learned though that there are several ways to do an exercise and some exercises can be done without equipment. 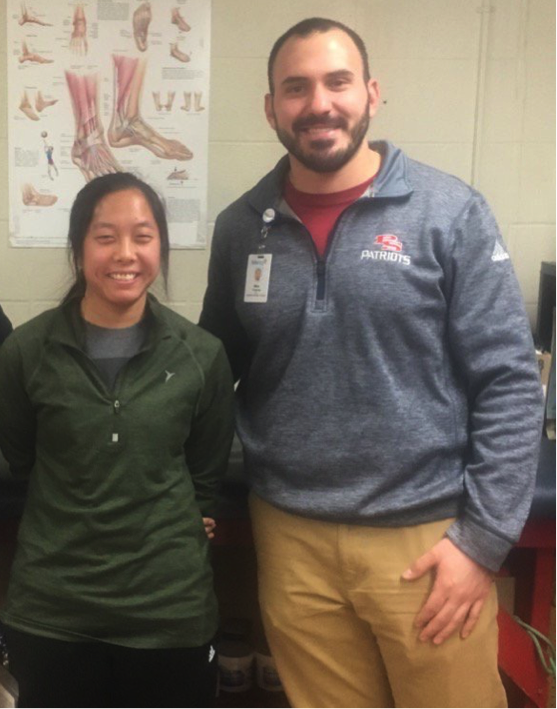 My experience at PSH has been great, and I hope to keep improving the care for our athletes.